Traveller - Audiobook | Listen Instantly! For anyone curious about the world, and introduced with a foreword written and read by Michael Palin, Traveller is sure to delight, infuriate and, perhaps most importantly, inspire thought about the complex world around them. Download and start listening now!
" This is a beautiful book. The sentiment is there. Wonderful, touching, read. " " These "observations" are pure unadulterated narcissism run amok. Someone pass me the Pepto-Bismal. " 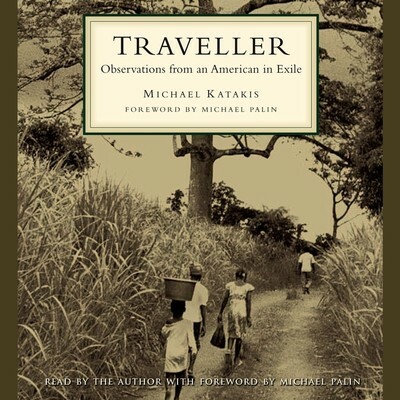 Michael Katakis has authored a number of books, including Despatches, The Vietnam Veteran’s Memorial, and, as editor, Sacred Trusts: Essays on Stewardship and Responsibility and Excavating Voices: Listening to Photographs of Native Americans. His writing and photography have been collected by a wide range of institutions, including the National Portrait Gallery, Washington, DC, the Victoria and Albert Museum, the British Library in London, and Stanford University’s Special Collections Department. In 1999, Michael was elected Fellow of the Royal Geographical Society, and in 2001 he and his wife’s exhibition, A Time and Place Before War, opened at the Geographical Society in London. The British Library acquired Michael’s photographic work for their collection in 2008. The library is now the repository for his entire body of work. He lives in France and the United States with his wife, anthropologist Kris Hardin.